Me and some fellow travelers I met decided to go on a day trip to the Panama Canal Gatun Locks and Portobelo. As none of us were a big fan of organized tours, we decided to go by ourselves. The Panama Canal Railway takes you from Panama City all along the canal to Colón, a notorious city located on the other side of the canal. Tourists are not recommended to walk around in Colón. Apparently even walking 10 minutes from the train station to the bus station would result in a high chance of getting mugged. Either way, how bad could it be? 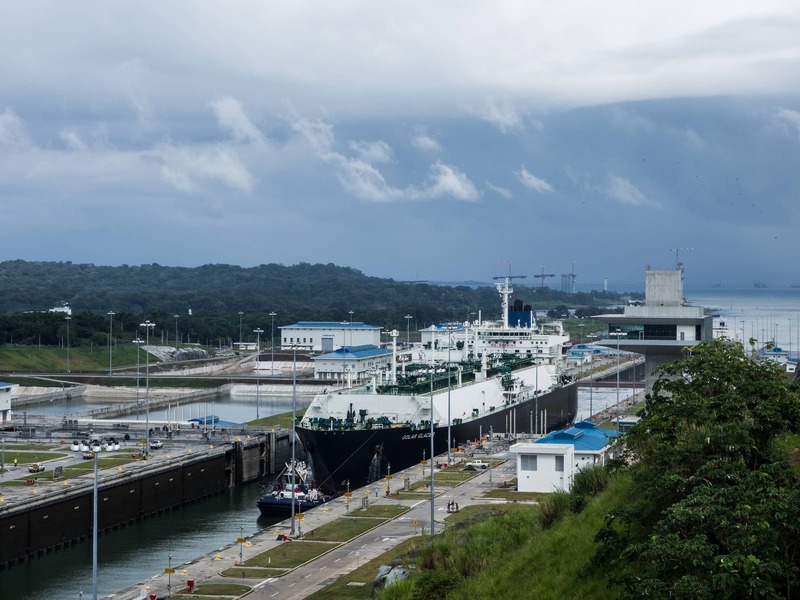 If the famous Panama Canal Railway – which is quite a touristy ride – goes there, surely there must be a way to safely get to the Gatun Locks from there. And so we got on the 7.15AM train from Panama City to Colón. A beautiful old train with panoramic windows all up to the roof. The $25 train ride included a coffee, water, and some basic snacks. The train ride was fun and the surrounding scenery and views over the canal are well worth it. After about an hour we arrived in Colón, and things went downhill from there. 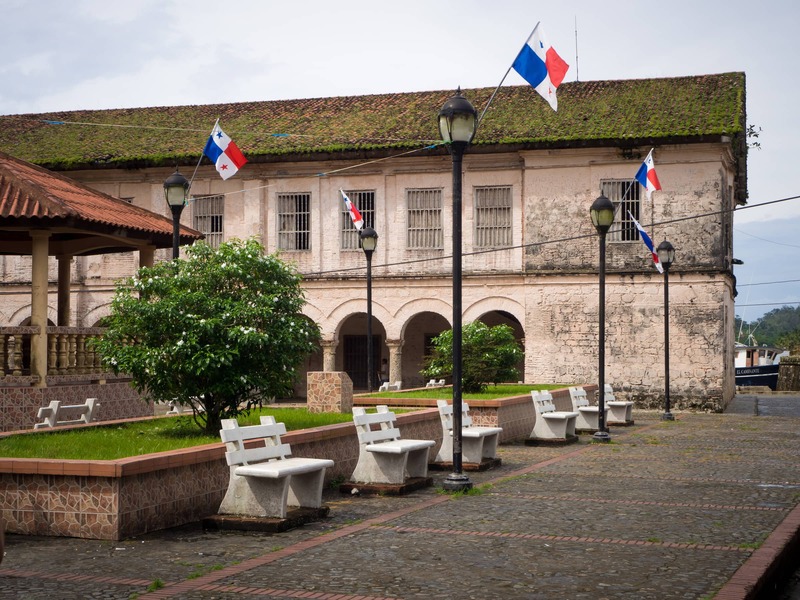 The Panama Canal Railway station in Colón is not as attractive as the one in Panama City. Basically it is just a platform and a parking lot, surrounded by a high fence with security guards at the entrance. All of the other tourists got on their tour buses while we were quickly being surrounded by taxi drivers. The only company that is allowed to enter the station is SET Taxi. Apparently these taxi drivers think they are tour guides as well. They tell you that they are selling a tour (later you will understand why). Either way: we did not feel like walking outside of the station to get a normal cab as the surroundings looked very sketchy, so we decided to take a SET taxi. We still thought this price was too high, but after 30 minutes trying to bargain we just went with it anyway. Looking back at it, maybe we should have walked to the fence of the station and to take a taxi from another company. While normally after agreeing on a price both parties drop the act and get friendly, the opposite happened. On our way to Gatun Locks we already found our driver madly annoying. He kept talking to us in a very rude and unfriendly way, as if we were stupid and he knew everything. One thing I really hate is locals assuming that every tourist is stupid, and misusing their “power” as in some situations tourists have no way but going with them. Mr. Mendoza, our taxi driver, was one of these people. Once we got to the Gatun Locks (entrance $15) we took about an hour to watch a ship passing through, listen to the staff explaining more about the canal, and watch the information video. The Gatun Locks are opened in summer 2016, and are even bigger than the Miraflores Locks most people visit in Panama City. The visitor center is fun to visit and the staff is very professional and excited to tell you everything about the canal. Meanwhile, our taxi driver – or should I say “guide” – kept following us and said that we had to hurry up. “Traffic! “Rain!” and most of all “THIS IS A TOUR, YOU HAVE TO LISTEN TO WHAT I SAY” were used as reasons to keep us going. At this point we should have decided to get rid of this driver already and call another cab. The thing is, the visitor center is located a bit remote. Unlike most tourist places in Panama this was not a place were taxis were waiting to pick up customers. 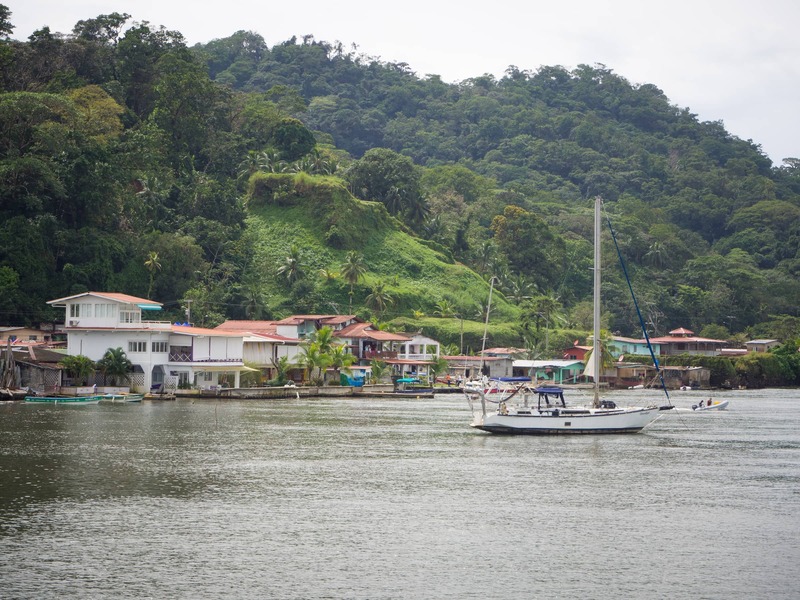 We got on the taxi and continued our way to Portobelo. The driver made a stop at the supermarket and asked us to wait in the cab while he would go inside and quickly buy something. We did not really have breakfast except for some snacks, so we got out of the cab too and went to the supermarket to buy some food. When we entered the supermarket our driver showed up and said (with a very angry tone of voice): “What are you doing?” “Where are you going?” “No, you can’t go in and buy something!” “We have no time!” “This is a tour!” “Wait me outside or in the cab!”. Needless to say we were getting extremely annoyed at this point. We tried to explain the driver countless times that the only thing we wanted him to do is bring us from point A to B, and we did not need his tour services. Even on the ride from Colón to Gatun Locks he already mentioned that he expected a tip if we liked the tour. How did he ever think we would LIKE this rude attitude?! 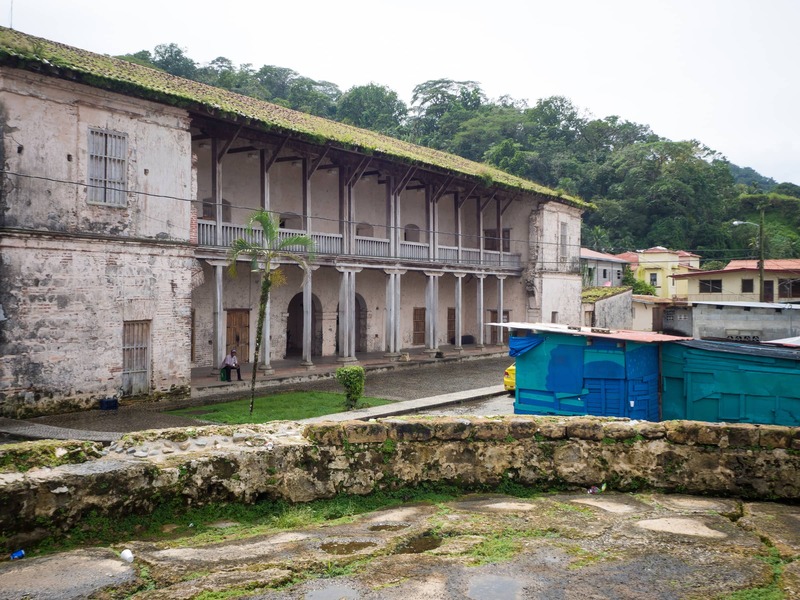 Once we got to Portobelo we asked the driver to stop in front of a small bakery to have lunch. Basically this restaurant was already located in the village. While we were eating our driver would sit at the table behind us, and every time we asked the restaurant staff something he would interrupt us. As if we we were too stupid to choose our own lunch. 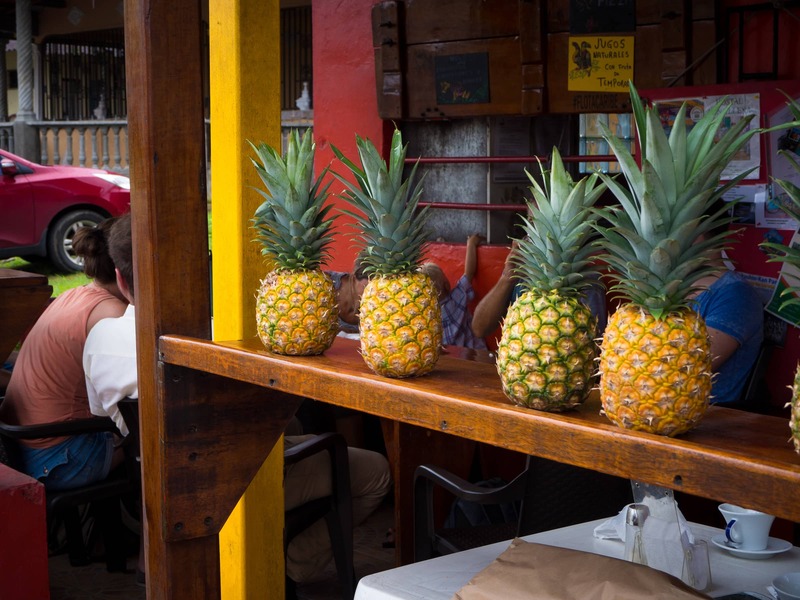 The place we had lunch at in Portobelo. Afterwards, we got up and walked towards the main square to look at the church, ruins, and harbor. “Where are you going? !” “No, you need to get into the car!” “This is a tour!” “I will drive you there!” “No, YOU CANNOT WALK THERE”. Just to get rid of the nagging we got into the car, and Mr. Mendoza drove us literally for 100 meters. Walking would have been faster. While we were walking around town he kept following us and telling how we were in a rush and had to go back. Mr. Mendoza waiting for us in front of his yellow taxi in the background. After about 1.5 hour (while we mentioned 2 hours at the station) we were had enough of it and got back into the cab. 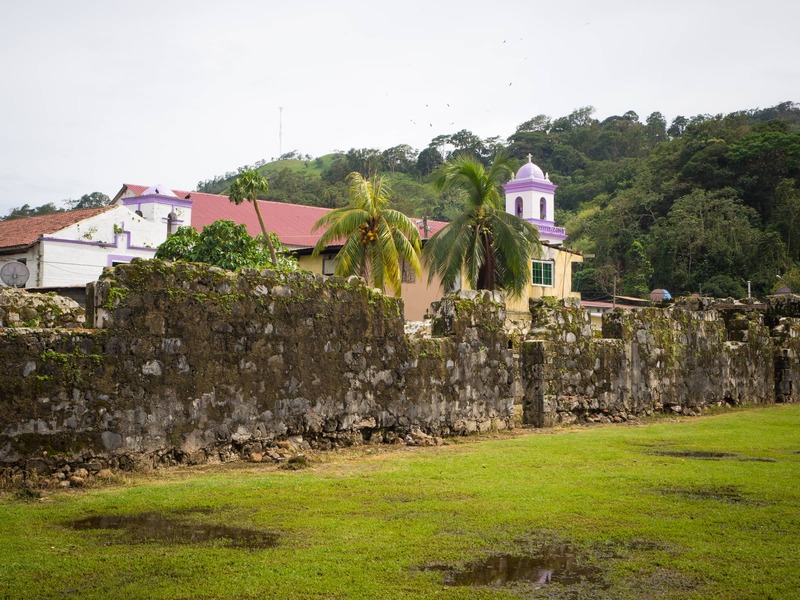 Just five minutes outside of Portobelo there was another small fort/ruin, where we would stop on the way back. Obviously, we did not. No, we had already spent so much time in Portobelo. We had no time for this. As I remember it was not even 2PM. After the taxi dropped us off in Sabanitas we took the bus back to Panama City, the bus stop is located opposite of the Rey supermarket. At this point, even standing in a super crowded bus felt better than being in the taxi with the most annoying driver I ever encountered. I suggest anyone who want to make this day trip to either join a tour, or pre-arrange a driver to pick you up in Colon. Of course, not every driver is as bad as the one I got, but generally I am sure you will have a nicer experience booking a tour for this trip. 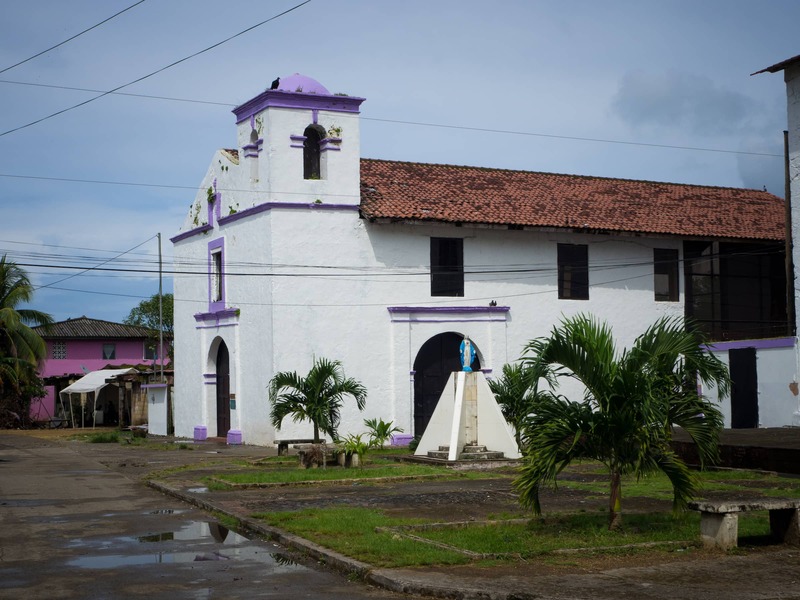 If you are only planning to visit Portobelo, then just take a bus from Albrook to Colon. 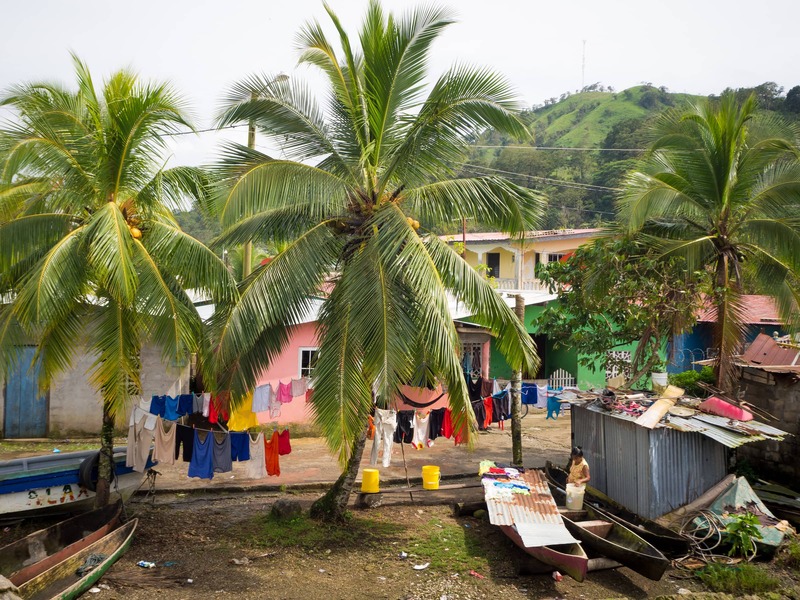 Get off at the Rey supermarket in Sanbanitas and change to the local bus to Portobelo. 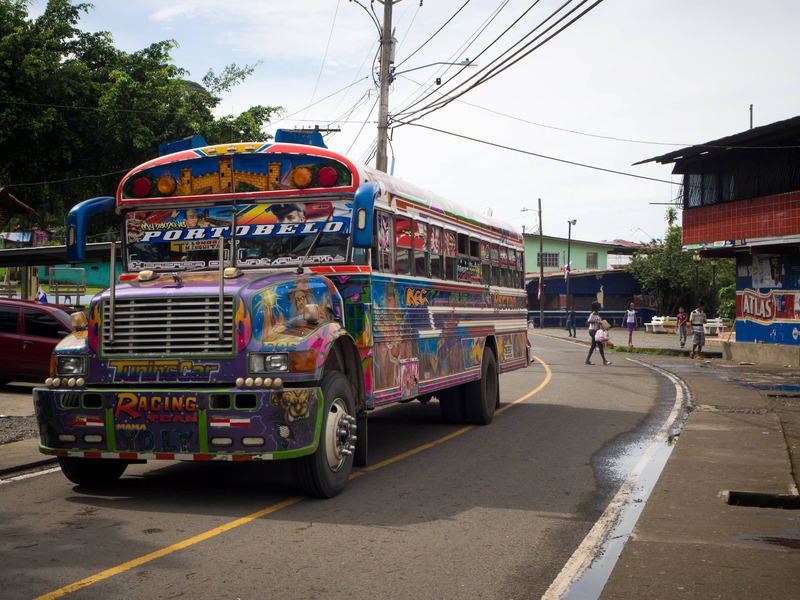 Alternatively you could ask a driver to just take you to the bus station in Sanbanitas after visiting the Gatun Locks, and go to Portobelo by yourself. Other tips and experiences on this trip are welcome too! Thanks for sharing your experience. I visited the Gatun Locks during a 24 hour layover in Panama City in February 2016. I paid a taxi driver for the day to go to Miriaflores locks, the Gatun Locks, and over the bridge to Fort Lorenzo, we agreed on $100 – which I thought was a great deal, given the airport ride as a reference. Then after Miraflores he said he didn’t know where the Gatun Locks were when we agreed on the price. (Grrr.) So I gave him two options – charge me a fair fare for Miraflores or honor the original price (I was actually willing to renegotiate the fare since I thought it was so good initially.) He tried to charge me for wait time at Miraflores even though he was only waiting for the longer trip. Long story short, I paid for $150 but neither of us were happy with the arrangement. The visitor center had a small cafeteria and movie room but not the personnel and information you describe. I didn’t see any action at the locks, though I could see ships waiting to enter. I thought the new locks were built alongside the old, but maybe I was mistaken. In any case, the driver claimed not to know of any bridge across the canal. So overall my trip to the Atlantic side was a disappointment. I’ve got another 24 hour layover in Panama City next month, this time with a companion who has never been before and I’m debating whether to try again to visit the Atlantic side. (Our layover is Sunday and the train doesn’t run.) This is helpful information. Did you see the Miraflores Locks? Would you recommend the Gatun Locks in addition? Thanks for the useful post. I’m really sorry to hear about this experience! This can really mess up your day and experience. I’d recommend going to the Gatun locks, as there was action non stop (ships going through the locks, really nice to see), and the train ride was nice too. However I’d definitely book a tour in this case, normally not a fan of these tours but if you want to avoid another bad taxi experience I’d really recommend it!